Marie Louise of Hesse-Kassel (7 February 1688 – 9 April 1765) was a Dutch regent, Princess of Orange by marriage to John William Friso, Prince of Orange, and regent of the Netherlands during the minority of her son and her grandson. She was a daughter of Charles I, Landgrave of Hesse-Kassel, and Maria Amalia of Courland. She and her husband are the most recent common ancestors all currently reigning monarchs in Europe. Charles of Hesse-Kassel, of the House of Hesse, was the Landgrave of Hesse-Kassel from 1670 to 1730. Maria Anna Amalia of Courland was a German noblewoman. A princess of Courland from the Ketteler family, she was also Landgravine of Hesse-Kassel through her marriage on 21 May 1673 to her first cousin Charles I, Landgrave of Hesse-Kassel. She was the child of Jacob Kettler and Margravine Louise Charlotte of Brandenburg, eldest daughter of George William, Elector of Brandenburg. Marie Louise is notable for having served as regent for two periods in Dutch history: during the reigns of her young son, William IV, Prince of Orange from 1711 and 1730, and of her young grandson, William V, Prince of Orange, from 1759 to 1765. She was often fondly referred to as Marijke Meu (Aunt Mary) by her Dutch subjects. Marie Louise was one of seventeen children born to Charles I, Landgrave of Hesse-Kassel, by his wife and cousin, Maria Amalia of Courland. Two of her siblings included King Frederick I of Sweden and William VIII, Landgrave of Hesse-Kassel. Frederick I was prince consort of Sweden from 1718 to 1720, and King of Sweden from 1720 until his death and also Landgrave of Hesse-Kassel from 1730. He ascended the throne following the death of his brother-in-law absolutist Charles XII in the Great Northern War, and the abdication of his wife, Charles's sister and successor Ulrika Eleonora, after she had to relinquish most powers to the Riksdag of the Estates and thus chose to abdicate. His powerless reign saw his family's elimination from the line of succession after the parliamentary government dominated by pro-revanchist Hat Party politicians ventured into a war with Russia, which ended in defeat and the Russian tsarina Elizabeth demanding Adolph Frederick of Holstein-Gottorp to be instated following the death of the king. William VIII ruled the German Landgraviate Hesse-Kassel from 1730 until his death, first as regent (1730–1751) and then as landgrave (1751–1760). On 26 April 1709, Marie Louise was married to John William Friso, Prince of Orange. He was the eldest surviving son of Henry Casimir II, Prince of Nassau-Dietz, and Henriëtte Amalia of Anhalt-Dessau; he had inherited his title in 1702 from the childless William III, Prince of Orange, due to his descent from both William the Silent and Frederick Henry, Prince of Orange. From 1759 until her death in 1765, Marie Louise also served as regent for her young grandson William V, Prince of Orange, after the previous regent (his mother and Marie Louise's daughter-in-law, Anne) died. Marie Louise was succeeded as regent by Duke Louis Ernest of Brunswick-Lüneburg and her granddaughter Carolina. Marie Louise died on 9 April 1765 in Leeuwarden, the capital city of the Dutch province of Friesland. She outlived her son William by 14 years. Prince Charles of Hesse-Kassel was a cadet member of the house of Hesse-Kassel and a Danish general field marshal. Brought up with relatives at the Danish court, he spent most of his life in Denmark, serving as royal governor of the twin duchies of Schleswig-Holstein from 1769 to 1836. Princess Sophia Dorothea of Prussia was the ninth child and fifth daughter of Frederick William I of Prussia and Sophia Dorothea of Hanover. By marriage, she was a Margravine of Brandenburg-Schwedt. Landgravine Elisabeth Henriëtte of Hesse-Kassel was the daughter of William VI, Landgrave of Hesse-Kassel and Hedwig Sophia of Brandenburg (1623–1683) a sister of Elector Frederick William of Brandenburg. Oranjewoud is a small village in the Netherlands. 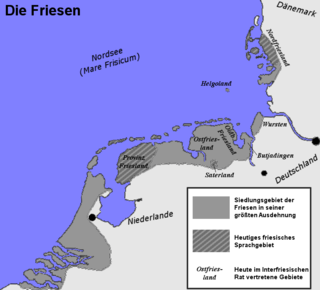 It is located in the municipality of Heerenveen, Friesland. Oranjewoud had a population of 1570 in January 2017. It is known for Oranjewoud Palace. Frederick Augustus of Anhalt-Dessau, was a German prince of the House of Ascania from the Anhalt-Dessau branch. Princess Amalia of Nassau-Dietz was the wife of Frederick, Hereditary Prince of Baden-Durlach, and mother of Charles Frederick, the first Grand Duke of Baden. Henriëtte Amalia Maria von Anhalt-Dessau was the daughter of John George II, Prince of Anhalt-Dessau, and Henriëtte Catharina of Nassau and the granddaughter of Frederick Henry, Prince of Orange. Wilhelmina of Hesse-Kassel was a Prussian princess, married to Prince Henry of Prussia. Amalie Elisabeth of Hanau-Münzenberg (1602–1651) was Landgravine consort and Regent of Hesse-Kassel. She married the future William V, Landgrave of Hesse-Kassel in 1619. Upon her husband's death in 1637, she became regent for their son William VI. Through skillful diplomacy and military successes in the Thirty Years' War, she advanced the fortunes of Hesse-Kassel and handed over an enlarged landgraviate to her son upon his majority in 1650. However, her health was ruined by the war, and she died in 1651. William of Hesse-Philippsthal was a member of the House of Hesse and Landgrave of Hesse-Philippsthal from 1770 until his death. William of Hesse-Philippsthal-Barchfeld was a member of the House of Hesse and was Landgrave of Hesse-Philippsthal-Barchfeld from 1721 to 1761. Ulrike Louise of Solms-Braunfels was a German regent, Landgravine of Hesse-Homburg by marriage to Frederick IV of Hesse-Homburg, and regent of Hesse-Homburg, on behalf of her minor son Frederick V Louis William Christian from 1751 to 1766. 1 2 Lundy, Darryl. "Marie Luise von Hessen-Kassel". thepeerage.com. Retrieved 16 December 2009. 1 2 Baker-Smith, p. 32. 1 2 Rowen, p. 151. 1 2 Baker-Smith, p. 34. 1 2 3 4 Baker-Smith, p. 37. ↑ Van Loon, pp. 123–24. 1 2 Van Eijnatten, p. 50. ↑ Van Loon, p. 122. Baker-Smith, Veronica P. M. (1995). A Life of Anne of Hanover, Princess Royal. Brill Academic Publishers. ISBN 90-04-10198-5. Rowen, Herbert H. (1990). The Princes of Orange: The Stadholders in the Dutch Republic. Cambridge University Press. ISBN 0-521-39653-0.
van Eijnatten, Joris (2003). Liberty and concord in the United Provinces: religious toleration and the public in the eighteenth-century Netherlands. Leiden: Brill. ISBN 978-9004128439.
van Loon, Hendrik Willem (1913). The fall of the Dutch republic. Boston and New York: Houghton Mifflin Company.